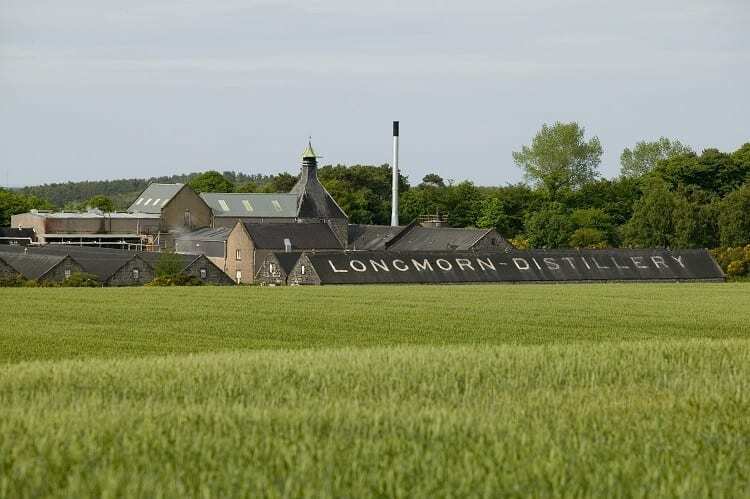 The Longmorn (stemming from “Lhanmorgund” which is Gaelic for “place of the holy man”) distillery was founded on the site of an old chapel in 1893 by John Duff (formerly manager of Glendronach and Bon Accord, as well as the founder of Glenlossie), Charles Shirres and George Thomson. The distillery is located in the town of Longmorn, in Moray in the Speyside region of Scotland. Distillation started in December 1894. In 1896, Duff bought out his partners, and the year after, in 1897, he founded Benriach right next to Longmorn. However, when the whisky market went into recession, partially due to the collapse of major players in the market like wholesalers Pattison Ltd. in 1898 (some claim these wholesalers were guilty of committing fraud), Duff was financially ruined, went bankrupt in 1909, and was forced to sell both distilleries. The distillery ended up in the hands of Thomas Dewar and Arthur Sanderson, who used the spirit in their blends. Ownership might have switched a few more times (it’s hard to find proper historic records), but eventually the distillery ended up in the hands of Hill, Thomson & Co Ltd, managed by James R. Grant. They, too, used Longmorn in their blends, so the acquisition made sense from a business perspective. The official owner of the distillery was a newly established company by name of Longmorn Grants, which remained in control until 1970, when it merged with The Glenlivet & Glen Grant Distilleries Ltd and Hill, Thomson & Co Ltd to form The Glenlivet Distillers Ltd. In the same year, the malting floor was converted to a boiler room. The merger meant hard-needed capital became available. Around the same time, demand for Longmorn increased, thus leading to the addition of 2 extra stills (raising the total to 6) in 1972, and another two stills in 1974. In 1977, The Glenlivet Distillers Ltd was bought by Canadian Seagrams, through their subsidiary Chivas Brothers, which in turn in 2001 was snagged up by Pernod Ricard, who have been running the distillery ever since. Longmorn was pretty late to switch from direct coal firing of the stills with steam heating. This happened as late as 1994, mainly due to the expansion done in 1974, where the wash stills were placed in a seperate room from the spirit stills. This made it much easier to control the amount of heat needed for distillation, and thus Longmorn could afford to stick to coal firing for quite some time longer than its peers.